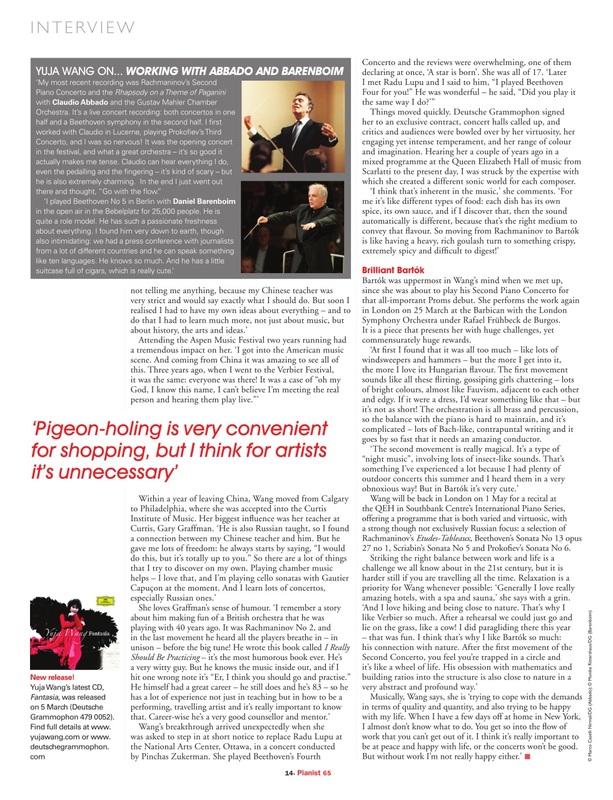 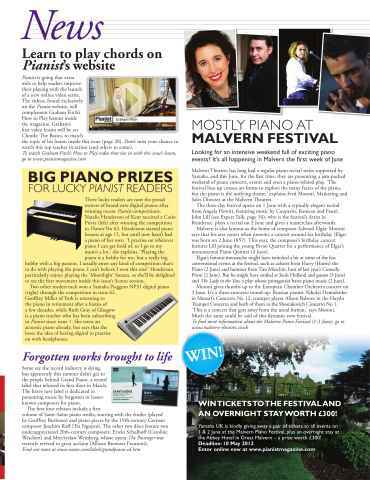 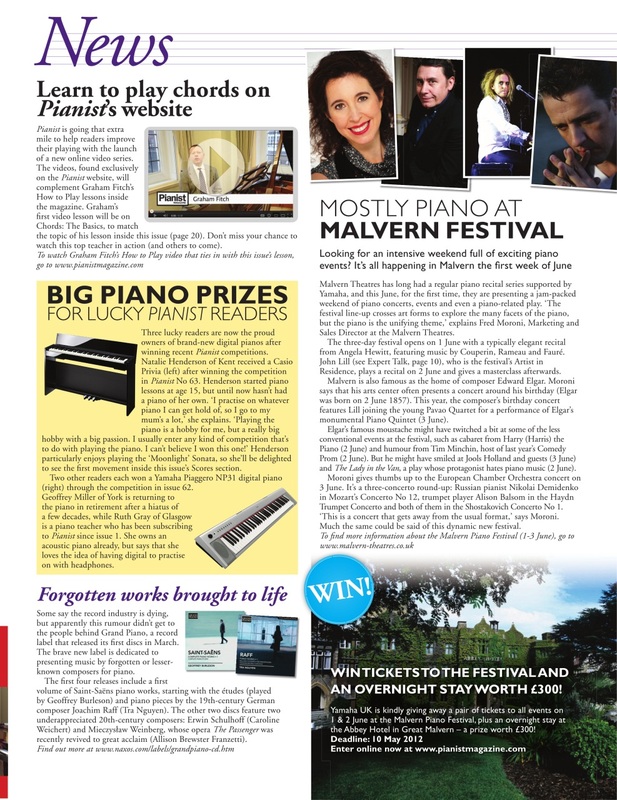 Download the sample issue of Pianist for FREE! 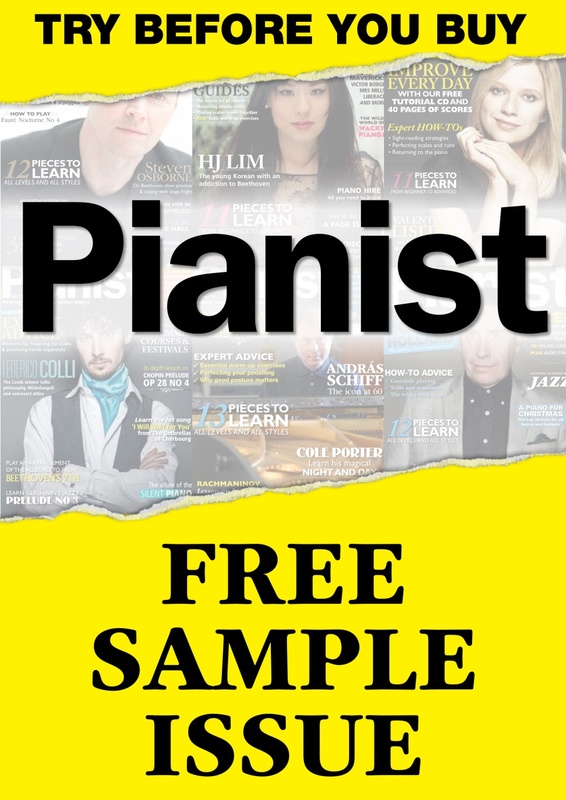 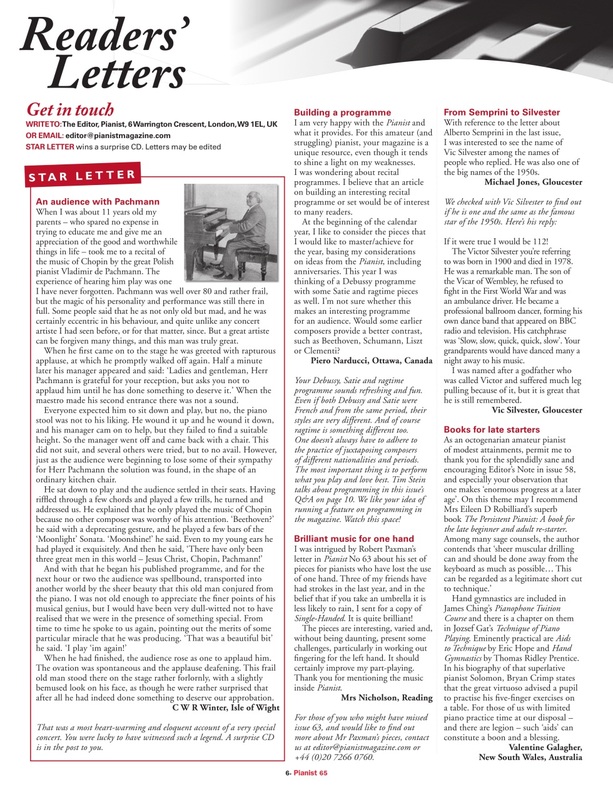 Listen to our sample audio files, watch a sample of our latest Piano Masterclass video, and read sample news and feature pages. 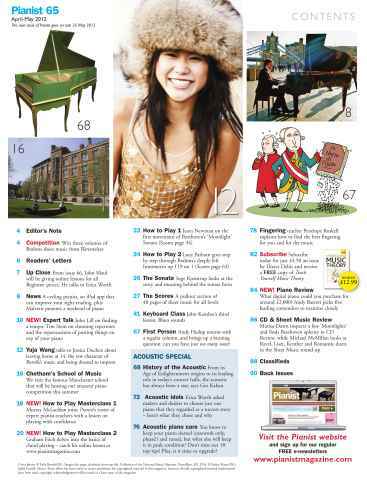 Just download a full issue to enjoy 40 pages of sheet music with audio files, allowing you to play along.